Patrick Leigh Fermor: An Adventure by Artemis Cooper is the story of a under-funded toff who at the age of 19 in 1933 set off to walk from London to Istanbul. The Third Reich at War: How the Nazis Led Germany from Conquest to Disaster is the third volume of Richard J. Evans's history of the great enormity, a project that's every bit as long as it needs to be. H is for Hawk by Helen Macdonald told me more about the relationship between hawk and handler than I thought there was the remotest chance of me wishing to know. Station Eleven by Emily St John Mandel starts off with an interesting premise but ends up reminding me that I prefer the way Stephen King did this kind of apocalyptic thing in The Stand. 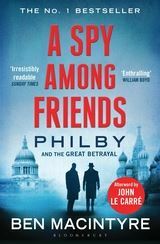 The best thing I read on holiday was A Spy Among Friends: Philby and the Great Betrayal by Ben Macintyre. As a yarn it gets more amazing every time it's told. As a moral tale it makes you think even more as you get older. When you get older you understand the meaning of loyalty. Macintyre is a *really good* writer. If you haven't read his books on the British and German spies of WW2, you should. They are marvellous. Blimey! Any one of those would have taken me at least a fortnight. Where on earth did you go and what was the weather like? Wasn't intending to show off about how much I read. In fact I'd read most of the Evans before I left and finished the Macintyre on my return. This may seem a lot, particularly for anyone who's holidaying with small children, but when you get to my age there's now much else you'd rather do and I'm forcing myself to read faster. And the weather was pretty much like the UK so that helped. Read the Ben Macintyre book on holiday as well and was astounded to find out that the pub down the road from me was where Philby used to drink with his MI6 colleagues. Incidentally 'Glenalmond' which was once MI6's wartime base,is now a kids nursery. Just finished the Macintyre book, which was the best thing I've read for ages (including H is for Hawk). I'm still only half way through my first week of vacation and looking for something equally gripping. Any suggestions? Dangerous business, recommending books. That said, Still MIssing by Beth Gutcheon, Lush Life by Richard Price and London Belongs To Me by Norman Collins are the ones I always nominate. Dangerous business recommending anything. So I don't. What I tend to say is, "I like this. I recommend you check it out". A cop-out, of course, but having been shouted at in years gone by, it's a safe(ish) option. Strongly recommend Agent Zigzag by Ben Macintyre too.